Following a sold out performance two years ago, this New Year's Eve, welcome in 2018 at beautiful Severance Hall once again with Connor and the Cleveland Pops Orchestra under the direction of Maestro Carl Topilow in "Legends of Song"! Featuring an ALL new show, with BRAND new arrangements, this show premieres over 13 songs never performed by Connor with a symphony. Including songs made famous by The Beatles, The Beach Boys, The Carpenters, Jimmy Webb, Stevie Wonder, Billy Joel and Elvis. This show will span the greatest hits of the 50s, 60's and 70's with a full 50 piece black tie Orchestra. 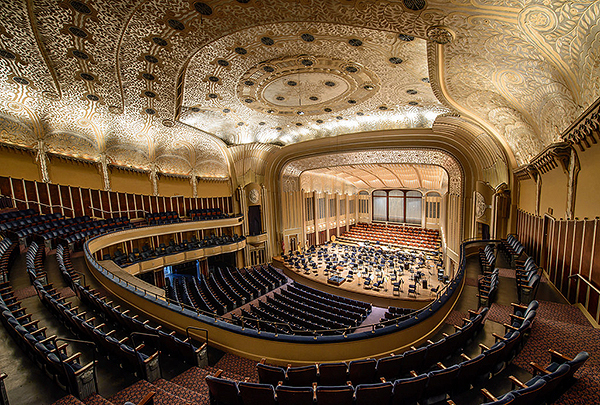 Back at beautiful Severance Hall (home of the world famous #1 ranked Cleveland Orchestra) on it's most prestigious night, this show typically sells out it's grand 2,000 seat house, so be sure to get your tickets early! For more than two decades Cleveland Pops Orchestra with Carl Topilow has put on the best and most entertaining New Year’s Eve party in Cleveland. Year after year, Cleveland Pops puts on a spectacular show at Severance Hall, lighting up the stage with first-rate entertainment. The two-hour concert is followed by a fantastic party to ring in the New Year with dancing and fun. Couples can dance to two live bands located in both the elegant Grand Foyer and the spacious Smith Lobby.